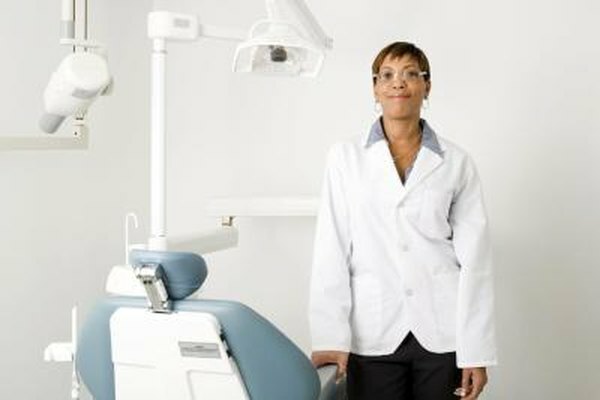 Can Dental Premiums Be Deducted From Federal Taxes? Dental insurance counts as a medical expense for tax purposes. 1. Can You Turn in COBRA Payments for Your Insurance on Your Taxes? 2. Do You Combine Insurance Costs and Out-of-Pocket Medical and Dental for a Medical Deduction? 3. Can Copayments on Medicine Be an Income Tax Deduction? Keeping your pearly whites healthy isn't cheap, but if you're paying out-of-pocket for dental insurance, you might be eligible for a tax break. If you're self-employed, you have a much better chance of being able to use your dental premiums as a deduction on your federal income taxes than if you're an employee because of differences in the two deductions. If you're self-employed, you may qualify for a special above-the-line deduction for your dental premiums. To qualify, the plan must be in your name or the name of your business and you can't have access to an employer-sponsored plan, either through a job or your spouse. For example, if your spouse also works and could add you to the dental insurance offered by her employer, you don't qualify. If you do qualify, you can include the dental premiums paid for yourself, your spouse and your dependents. Dental insurance counts as a qualified expense toward the medical and dental expenses deduction. When figuring your total deduction, don't forget to include other qualifying expenses including medical insurance premiums and costs for prevention, diagnosis and treatment of medical and dental illnesses. The medical and dental expenses deduction is an itemized deduction, so unless you're willing to part with your standard deduction, you can't claim it. You can only include the amount of the dental insurance premiums that you paid with after-tax dollars when figuring your deduction. If you paid through your employer, you may be paying with pretax dollars -- money that isn't included in your taxable income on your W-2. If so, you can't include those premiums. However, if you buy the coverage on your own, you can include the full costs. The other downside to the medical and dental expenses deduction is that you're limited to deducting the amount of expenses that exceeds a specified portion of your adjusted gross income. In 2012, the threshold is 7.5 percent. In 2013, it goes up to 10 percent. For example, say your dental insurance premiums plus your other qualifying expenses for the year total $5,000. If your adjusted gross income in 2013 is $50,000 or more, you won't be able to deduct any of those costs. Can I Write Off Health Insurance I Paid for My Daughter? Are Premiums for Health Insurance Paid With Pre-Tax Dollars? What Percentage of My Health Care Can I Make Tax-Deductible? Can Non Prescription Drugs Be Claimed as an Expense on Schedule A? Do Medical Tax Deductions Reduce Your Income Dollar for Dollar? Can You Deduct Your Health Insurance Premiums When Filing Jointly? Can Prescriptions Paid With Taxed Dollars Be Deducted on Federal Taxes? Can Long-Term Care Insurance Premiums Be Deducted on Income Tax Returns? Can COBRA Qualify for the Self-Employed Health Insurance Deduction?